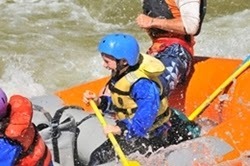 Colorado 5-Day Summer Package for $290 per person, quad occupancy! Experience Colorado’s great outdoors with this 5-Day Family Summer Vacation Package for $290 + 6.8% tax per person based on 4 guests! 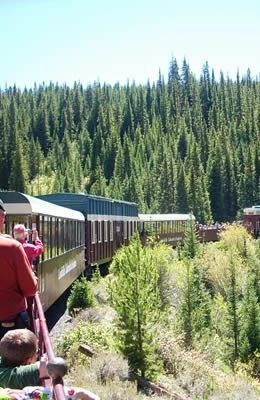 This vacation package may provide your kids with some new experiences like rafting the Arkansas River, hiking in the Rocky Mountains, a scenic train ride with a glimpse of Colorado's history, a tram ride to the top of the Continental Divide, and horseback riding in the wilderness while they explore Colorado’s great outdoors. child 12 & under. Guests must be a minimum 6 years old to horseback ride and 50lbs to raft. Available till August 15, 2014. Families & friends enjoy lodging at Ski Town Condos in the comfort of a 2 bedroom condo with log beds, down comforters, a full kitchen, washer/dryer, and hot tub in the gazebo. Call today to make your reservation at 719-539-7928.